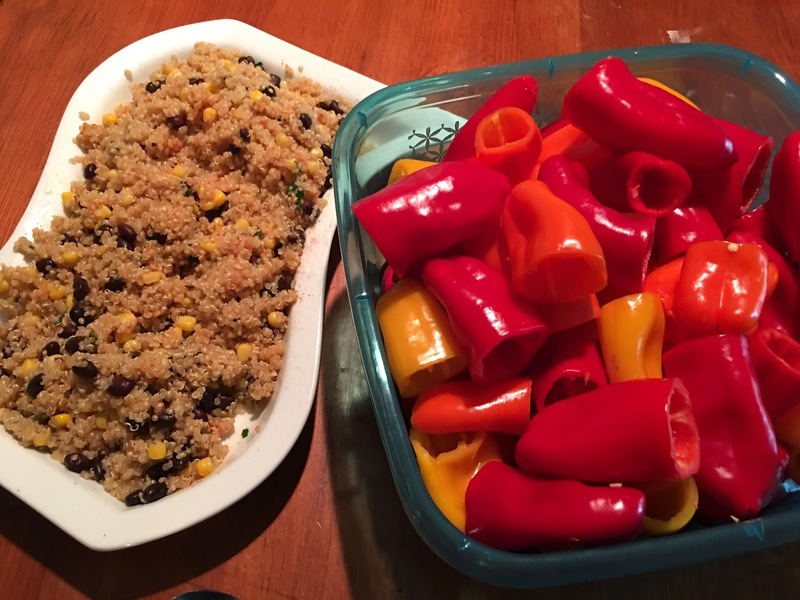 Quinoa stuffed peppers – Hurried Home Chef! 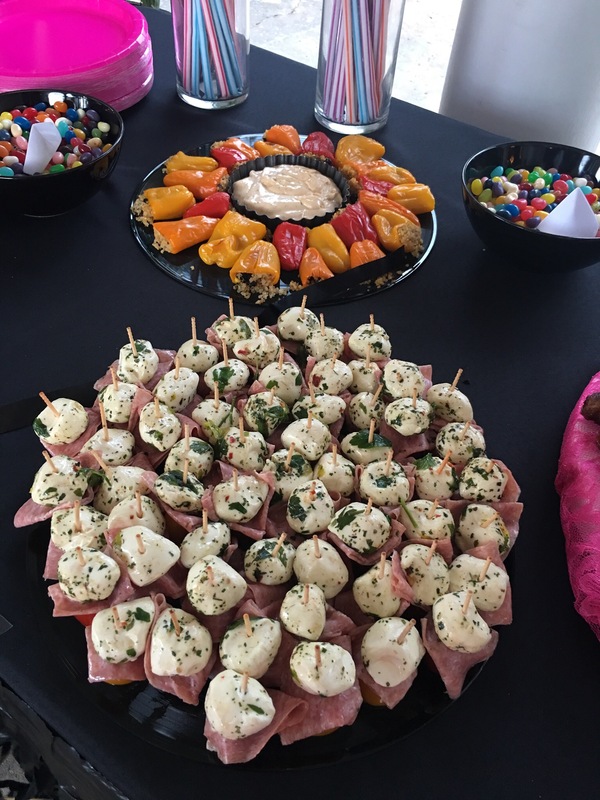 This dish was a bit awkward for a party, but I may try the larger version next time. 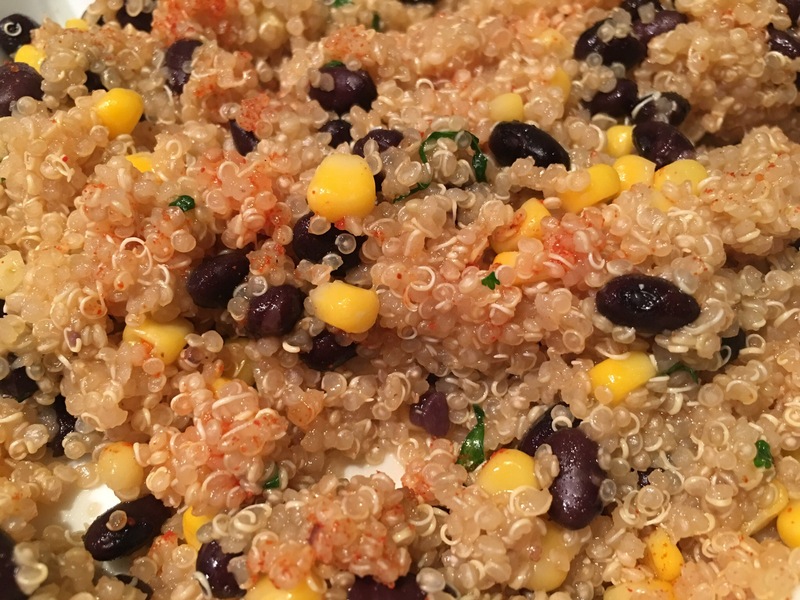 First I made a quinoa salad. I added 1 cup of quinoa to 2 cups of vegetable stock. Cooked for about 15 minutes, I wanted it a bit underdone, in the sink, drain a can of black beans, or boil them from fresh. I like to use fresh corn and cut it off the cob. Add a little cilantro, lime juice, and ground chili pepper to your heat level. Here I used the mini peppers, but the large ones would work as well. Stuff and bake. This is more to mellow the taste of the pepper. We added a chipotle mayo thinned out with a little ranch, for a dipping sauce, since they were a little dry and needed a little sauce.